Large Inflatable Alligator. 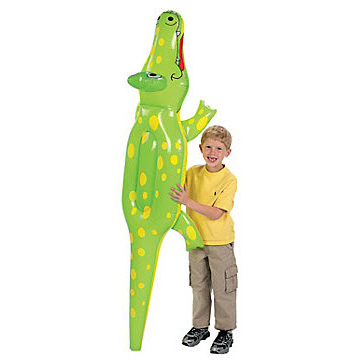 An inflatable gator will add fun to any luau, beach party, or safari bash! Guests will have a great time hanging out with this fun alligator toy. Add this alligator to your party decorations to create a super-sized tropical look. Vinyl. 6 ft. x 20" Not a flotation device.